PGA National Resort & Spa—home of the PGA Tour’s Honda Classic, five championship golf course, and world-class amenities—announces a new multimillion-dollar renovation to continue the improvement and enhancement of its property. Myriad enhancements to the legendary South Florida destination have already been completed in its initial $100 million revitalization. Of particular note is the Jack Nicklaus-led renovation of the acclaimed Champion Course. 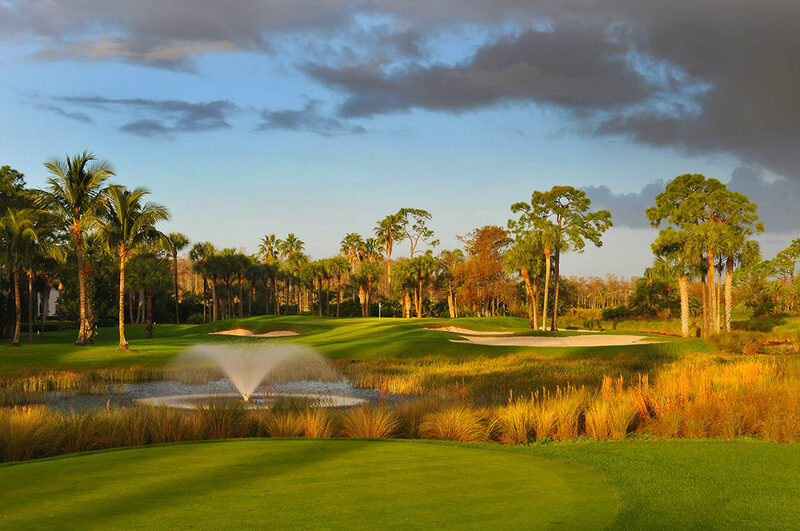 Highlights include a major regrassing with cutting-edge Celebration Bermuda and reworking of the 14th hole to strengthen the run-up to the famous “Bear Trap” (Holes 15, 16, and 17). • The Spa at PGA National — Already a “Top Rated” Conde Nast Traveler facility, the expansive 40,000-square-foot European-style spa is evolving. Changes will include new treatments, more luxury spa retail items, enhanced gourmet spa cuisine options at the poolside Cafe, and a beautiful new avant-garde design of the entire space. The Spa is renowned for the ultimate in relaxation and rejuvenation and continues to feature the latest treatments and services. The unique Waters of the World experience offers guests a blend of therapeutic pools from France and Israel, reminiscent of ancient Rome. • Health & Racquet Club — Members and guests will be greeted by a luxurious new entry pavilion and covered walkway surrounded by lush vegetation. Inside, the tennis pro shop will be reimagined with built-in retail displays, lounge seating, hospitality stations, and children-focused areas. New floor-to-ceiling glass in the fitness rooms will provide striking views of the 19 Har-Tru tennis courts. New state-of-the-art resistance and cardio equipment is planned as well as an expanded free-weight area. • iDECK — Set off the spacious lobby and sophisticated iBAR, iDECK is a 3,000-square-foot terrace ideal for indoor-outdoor entertaining. It will provide stunning views of the property’s serene landscaping, picturesque pool area, and tranquil lake, making it ideal for receptions, alfresco luncheons, cocktail parties, and dining under the stars. Also fully realized is the resort’s new Fazio Course; a floor-to-ceiling makeover of its 379 guest rooms, including themed suites and total redesign of its Presidential, PGA, and Legends suites; the Lakeside Lawn—a new permanent venue created due to increased popularity of its outdoor wedding settings; and “Bar 91”—a complete renovation of its 19th hole bar and grill. These enhancements follow previous substantial revitalization to PGA National’s member clubhouse, golf amenities, conference and meeting space, striking zero-entry pool, chef-driven Ironwood Steak & Seafood restaurant, and chic iBAR in its glamorous lobby. For more information about PGA National: visit www.pgaresort.com or call (800) 533.9386.